I am laying on my back on my yoga mat with a knit blanket over my torso, writing these words after a restorative yoga practice this morning. And the message that came through to me today is: guided. I can’t help but feel guided lately. Guided to trust. Guided to align. Guided to breathe. Guided to release. Guided to slow down. Guided to soften my worries. Guided to love. Sometimes when unexpected things come up, it’s because we are being guided by divine love. At least, that’s how I choose to see it. Don’t make things more difficult than they need to be. Everything will be okay. Are You Connected to the Ground in Which You Walk Upon? 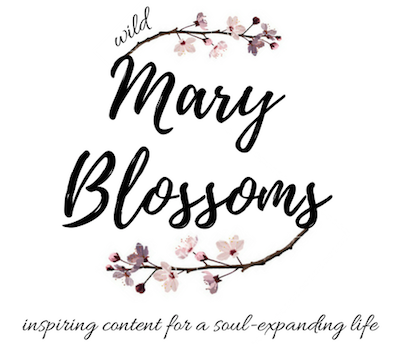 January 5, 2018 by Mary Harris11 Comments on Are You Connected to the Ground in Which You Walk Upon? Today’s theme was floor. One thing I have noticed about myself is that my mind never stops. Living so much in my head jumping from thought to thought to thought can be exhausting. One of the reasons I am on a break from Instagram, deactivated Facebook again, deleted my Twitter account a year and a half ago, and never bothered to make a Snapchat, is because I know myself, and I know what technology is capable of doing to the human mind. These mediums can be wonderful tools, but for me personally, there are consequences to using them. I have to be super mindful and super balanced with how I approach use. These platforms are purposefully designed to be addictive. This look within has been good for me so far, but it also has brought up something: a longing for community and deeper connections. One of the main pillars of health of those who live long and healthy lives is having community. In a way, I think this was the value, or perhaps perceived value, that social media gave/at times still gives me. It’s quick connection – a quick tap into communication at a distance. There are certainly upsides and downsides to that too. I notice that the lines are easily blurred between feeling valued, connected, and validated by way of communicating with friends online and not really getting much out of those interactions at all. Much of it is superficial. Much of it is short and fast. And with a quick click, I liked your photo, and with a speedy scroll, on to the next message and the next and the next. Consume, consume, consume. 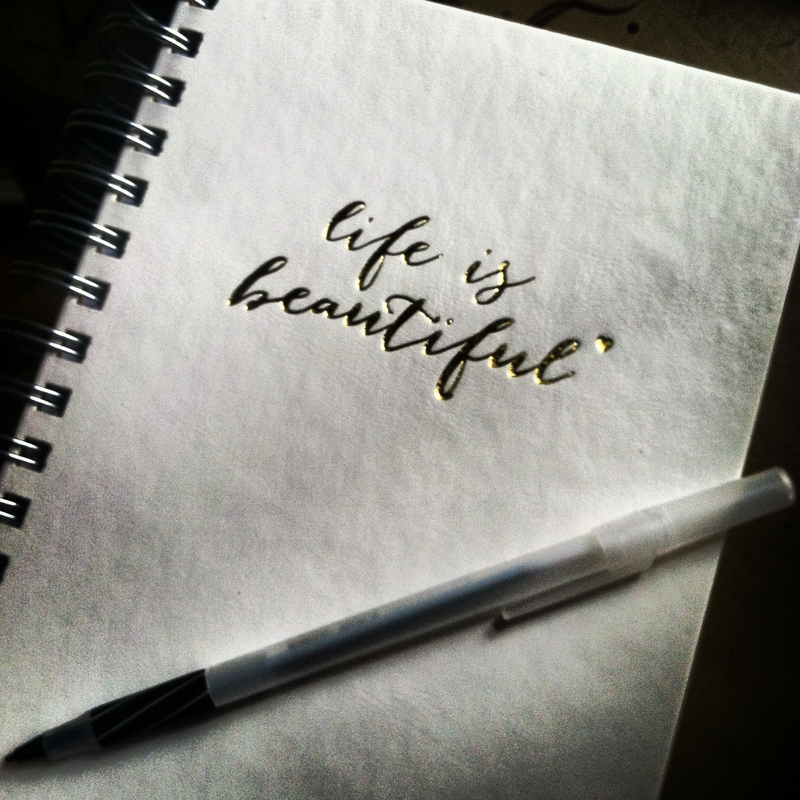 And tack on all the never-ending messages of all the products and services we ‘need’ to be happy, to simplify, to be beautiful, to be better. Is this the way? Is this valuable? Is it helpful? Is it necessary? So what happens if we peel that all away? Well, for me, that means I need to be with myself more, in that mind that never stops. And maybe that’s why I need to slow down and just exist without too many distractions more than ever. I believe part of the reason why I turn to snacking or comfort eating when I am “bored” or “lonely” is because I am really hungry for connection in that moment, a meaningful conversation. I am also really hungry for grounding myself and living in the moment – not tomorrow, not yesterday, but right now. Most of the time, I live in the future in my mind. And today’s yoga practice of connecting to the floor was surprisingly helpful. Find community. Ground yourself. Love and live today. Today’s yoga theme was flexibility. This got me thinking about how flexible I am (or not) when unexpected obstacles arise or when I’m in an environment with circumstances outside of my control. How flexible am I to adapt to unique situations or a blip in my own expectations? For me, this yoga practice is quite emotionally and spiritually self-reflective. I am typically an impulsive person within certain aspects of my life, and I have always known that this is a weakness for me. 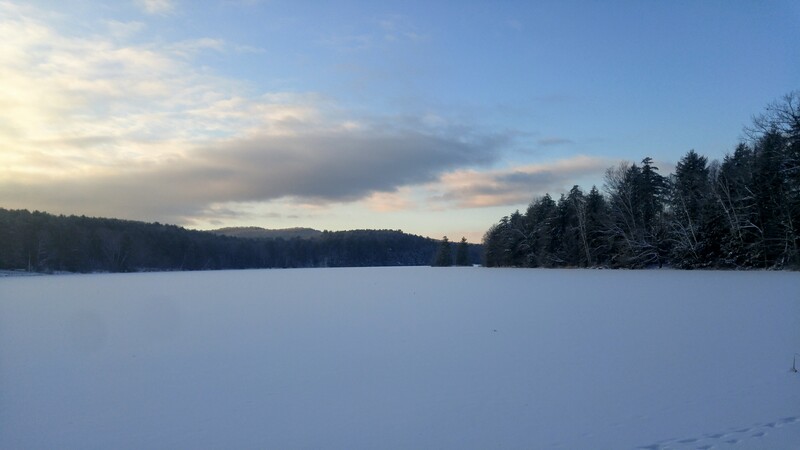 As I reflect, and work on expanding my mind, taking more pauses, and not rushing through things, I am realizing that achieving more mental flexibility is not only possible for me – it’s necessary. Pause. Wait. Breathe. Think it through. You will be okay. Expand. Center Your Health. 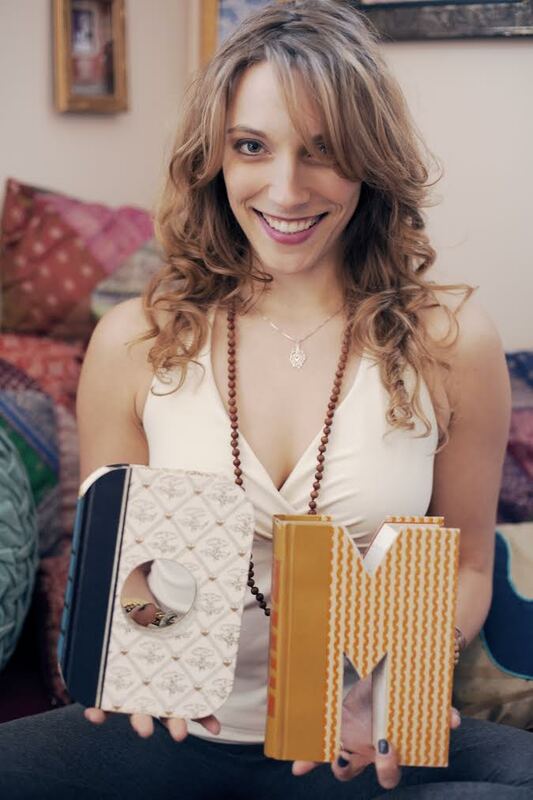 Lauren is a holistic health coach and yoga teacher who is passionate about life. I wanted to interview Lauren because I find her to be incredibly positive, authentic, and kind. These are qualities that I admire most in others. I also love how Lauren lives a full life and manages to balance everything with grace and organization. After reading this inspiring information, please watch Lauren’s video which is embedded at the end of this interview. Her smile and shining light will brighten your whole day. 1) Thank you, Lauren, for taking the time to allow me to interview you. How would you define yourself to those who have never met you? You’re so welcome! It’s funny that you ask that question, because I’m at the point in my yoga and spiritual practice where I’m trying to no longer “define” myself! It’s been a very, very difficult process since it’s easy to attach to certain labels or ways to identify ourselves. With that being said, hopefully this brief interview together can help others get a glimpse of who I am at this point of my life and accept me for what I’m all about! 2) You are a holistic health coach (like me ::high five::) and a yoga teacher. What are your coaching/teaching philosophies? It’s pretty simple, do what’s best for YOU. We’re so conditioned to look outside of ourselves for knowledge or healing but we need to remember that our bodies are designed to heal. We each have an innate wisdom within us that’s always there as a guide, no matter what is going on. We must learn to listen to our bodies, hear what they’re saying to us and give them exactly what they need. I love explaining this to my students/clients in hopes to remind them of the personal strength that resides in each one of them. 3) From what I can tell, you are an advocate of gluten-free living. Do you recommend this for all people or is this just something that has helped you personally? The only thing that I advocate or recommend for all people is to eat more veggies! Otherwise, I love explaining to my clients how gluten effects our system (it’s an anti-nutrient that causes inflammation) and then ultimately leave it up to them if they’d like to minimize their gluten intake or avoid it all together. Either way, I support them and always remind them to take it slow. It certainly takes awareness, patience, and practice. If they decide to give gluten-free a try though, I’m thrilled! I’m amazed at the symptoms that clear up in my clients after they’ve gave up gluten such as less body (joint) pain, no more bloating or gastrointestinal issues, weight loss or less headaches. To clarify though, while (in my opinion) gluten stinks, whole grains in general may be pretty disruptive to our health in large quantities. It varies person to person though. How has going gluten-free been a game-changer for you personally? Going gluten-free was something I never even considered until I was diagnosed with Hashimotos disease, an autoimmune condition effecting my thyroid function. When it comes to (any) autoimmune conditions, consuming gluten is like pouring fuel on the fire, so it must be eliminated. I realized that I had to finally give it up after my diagnosis. It was a slow and gradual process until I finally could feel the benefits enough to ditch it for good. It was a hard breakup, I must admit, one of the hardest I’ve ever gone through. However, I’ve NEVER been happier! I breathe so freely each day (have absolutely NO congestion in my sinuses), I can focus and think clearly throughout my day (no more brain fog), I’ve lost weight and my muffin-top disappeared, my face/body in general is less puffy, my keratosis pilaris (a rash on my upper arms that I’ve had all of my life) cleared up, and I almost never have that “stuffed” feeling after I eat a meal (even when I’ve eaten a bit too much!). I’ve had a blast getting creative with prepping gluten-free meals. The best part is it’s made me eat more whole, real foods more than ever before. I’ll make cauliflower crust pizza, spiraled zucchini pasta, stuff half an avocado with tuna salad, enjoy hummus with fresh crudite, or create wraps with lettuce or collard greens. I steer clear of foods like breads, crackers, cookies and other goodies marketed as gluten-free. Let’s be real, that’s straight up junk food. Before I transitioned to gluten-free I viewed it as so restrictive. Now I see how wrong I was to think that since I’ve never been so satisfied or felt better! 4) I have written about being body positive and for people to focus on health and healing rather than their looks/weight alone. What are your thoughts on this topic? I love that you’ve written on this subject. It’s so important, especially today. Obsessing over looks/weight only encourages unhealthy behaviors towards ourselves and effects our relationship with food. I think it’s so important to truly love yourself. This concept may be foreign to us since we are not encouraged to do this, but it’s an extremely important practice. Changing the way you speak to yourself is a great place to start. Most of us would never speak to others using the tone or words that we use towards ourselves. Part of my morning ritual is applying oil to my whole body after I’ve showered and silently thanking each and every part of my body. “Thank you, feet. Thanks, elbows! Thank you, eyes. Thanks, fingers. Thank you, belly.” It may sound silly, but I’ve grown to love, adore and appreciate so many different parts and aspects of my own body. It’s also helped me realize how grateful I am for the body I’ve been given and for its health. I highly recommend giving it a try! Where do you think most people go wrong when it comes to dieting and restrictive eating? All or nothing thinking. I give so many lectures on different types of diets…just to lure people in, not to encourage them to subscribe to them. They think they’re coming to learn all about a plant-based diet, or even a paleo diet, and while I’ll educate them on it I like to give suggestions of how to take aspects of the diet that they like, “drop the label” and make it their own. Then, there is no longer restrictions and unnecessary pressure – two things that should never be associated with foods in the first place! Create your own way of eating that’s best for you. 5) Do you have any recommendations for people reading this blog who might be new to yoga and a little nervous to try a class? Skip the free yoga class at your gym. While gym yoga teachers may be talented and great, it may not be the right environment for yoga if you’re a newbie. A simple google search for “beginner’s yoga class” in your area will bring up a bunch of local studios. Start checking out different studios and see what classes resonate with you and your schedule. Most studios even offer a discount or free class for your first time. When you attend class, go with an open mind. A true yoga class should be free of judgement and/or competition, so if you’re feeling any of that from the teacher or students (or sometimes even your own mind!) that may not be the class or studio for you. Your yoga practice is your own. It will look and feel different than anyone else’s, and that makes it beautiful and your own. Embrace that and you’ve embraced the essence of yoga…even as a beginner! 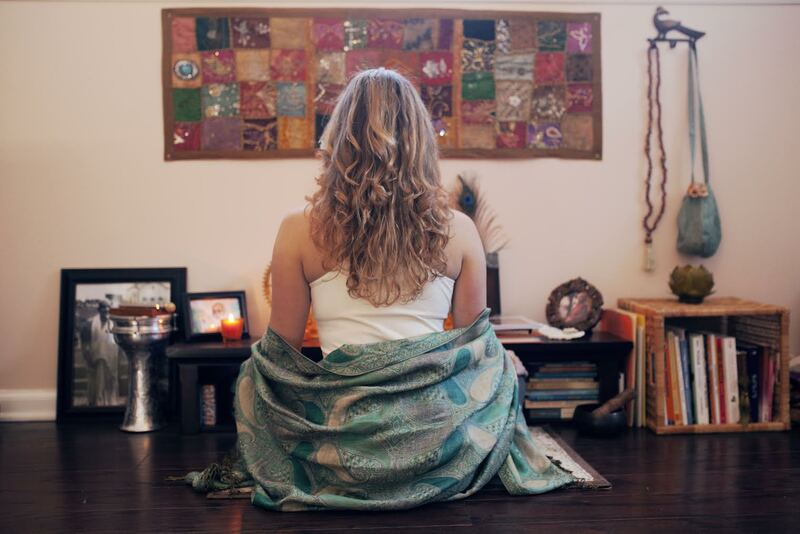 6) What is your message to more advanced yogis reading this blog? I find that there is always something new to learn with yoga each and every time we roll out our mat. This mindset will keep us a beginner at heart when it comes to our advanced practice, remind us not to be so focused on “mastering” the asanas (poses) but rather enjoying them wherever we are that day. I have observed that as most yogi’s practice progresses (including my own! ), the ego tends to be overconfident. It’s important to recognize when this happens so that you can realize you’re no longer practicing yoga with ego-driven thoughts. Yoga teaches us to be present and honor the body wherever it is. We must remember the fundamentals of yoga to truly excel in our practice…and that may or may not have anything to do with the asanas! 7) Is there a personal struggle you’ve experienced in your life that you would feel comfortable sharing, as well as how you dealt with that challenge? I’ve had a few personal struggles with my health over the years that I can now confidently say that I healed myself. That’s a lot easier said than done though! However, since I’ve done it more than a few times by now, I approach any struggle or health issue the same way and can execute the healing process much faster. I catch myself when I’m being the victim and instead look at whatever I’m going through as a blessing. I look at it as a challenge for me to go through so that I can learn from it and then help others to overcome similar issues. I make sure that I recite positive affirmations each day during my struggles and most of all allow myself the time to practice self care. I make rest and food prep my top priority so that I’m nourishing myself healthfully on all levels. I also reach out to the therapists, practitioners and mentors who I know will be helpful in my healing process. Healing takes lots of inner hard work and patience. After healing my IBS, anxiety disorder, autoimmune and thyroid disease, I feel pretty empowered to take on whatever is next. Our bodies are designed to heal themselves, we just have to realize that and give the body what it needs to thrive! Yoga…on and off the mat, because it’s the thing that I resonate most with before anything else. Creating…in all different forms keeps me sane and allows me to express myself. Food…because I’m a total foodie. India…everything about it. The smells, rich colors, the rituals. To me, it’s the most beautiful place on the planet. Nature…the colors, the patterns, the textures, the taste! Connecting with others…because I make it a point to surround myself with others who leave me feeling empowered rather than drained. 9) Can you name one public figure who you admire and share why? Lately, I’ve totally been admiring Daniel Vitalis of Rewild Yourself. I heard him speak about the domestication of human beings and it blew my mind. I’ve been a fan ever since. He reminds us of that wild wisdom that resides in our DNA which most of us have lost touch with. He’s got an online magazine and informative podcast. Check him out! His girlfriend Ali Schueler, of Wild Woman Speaks, also offers a similar approach that I’m totally jiving with. These past few years I’ve been so intrigued by primal living and working towards making little shifts here and there to get back to a more ancestral way of living. 10) What are the most important lessons you have learned so far in life? LOVE. Just love. Love yourself. Love everyone. Love every being. Love everything. Love cures all. Love nourishes all. Love is what we all desire. Love is what it’s all about. Give it, get it, share it, enjoy it! Also, my Italian Pop-Pop, Mike the barber, would always say, “The darker the vegetables, the better they are for you.” I have fond memories as a child of watching him tend his garden harvesting fresh fruits and vegetables for us to eat. 12) What are some of your future goals? Bhakti yoga has been a major part of my life in these recent years and I want to continue diving deeper into the practice as time goes on. My husband and I plan to start a family and I look forward to making that a big part of our children’s lives. Chanting each day has brought me so much joy and satisfaction and I look forward to sharing that with any kiddies we may have. Thanks so much for having me, Mary. I’m so inspired by you, your recipes, your homemade soaps, and your warm, positive message in general. Your smile lights up a room and is unforgettable! Thank you, Lauren! Keep shining bright! -or a rut (“I just want to go back to bed.” ::snooze button::), then this post will help. Or perhaps you are already working on creating an inspiring morning routine for yourself – awesome! Hopefully you can take away at least one or two new ideas from this list. I want to acknowledge that some people may be parents and/or some individuals may feel that their schedules do not allow them to have a healthy morning routine. My response: where there is a will, there is a way. Even if you only implement one or two of these ideas into your morning routine or you try new elements each day, it will still make a difference. It is best to have fun with this and figure out what will work best for your personality, needs, and lifestyle. Everyone is in a unique situation, so you should tailor a morning routine to your life. I usually wake up around 5:00 am to start my day. This is a beautiful time when the environment is usually still quiet and at peace. Naturally, I go to bed the night prior at around 10:00 pm, so this works for me. I have worked at this. I started to come to terms with the reality that I was addicted to my phone and social media. I was kidding myself when I thought that there was no way an email response could wait, or that if I was not connected that I would miss important information for work or even breaking world news. I realize that many people are severely addicted to technology in general, in a way that might eventually cause disease in the body. I am still working on limiting my technology use, so this is a work in progress (as she types on her WordPress blog). I try to wake up each morning feeling blessed and grateful at the opportunity of a new day; after all, I realize that so many others were not given the chance. I take a couple of deep breaths and smile. I give thanks and reflect on everything that I am so thankful for. Basically, I wake up with peace in my heart and gratitude on my mind. I do not leap out of bed as though the world is on fire. Simple as that. It can be something as magical as listening to the wind, or the crickets, or the birds chirping outside and/or quietly meditating. When we rush through our morning, and our day, and our week, and our month, and our year, and our life, we miss these little miracles that are occurring all around us all the time. Every morning, I tell my husband and my companion animals: “Good Morning!” and “I Love You!” To me, and perhaps to them, this makes all the difference. I do 5-10 minutes of light stretching and yoga postures, focusing on my breathe. I will eventually increase this to a 15-minute routine. I also like to have a book of inspiration nearby to read a quote or page from at this time. I follow this Ayurvedic practice each morning. I swish 1 tbsp of organic coconut oil in my mouth (sometimes with 1 tsp oregano essential oil) for twenty minutes. The theory is that this draws out toxins and helps with overall oral health; it has many other documented benefits as well. I love it. When done, I spit, rinse out my mouth thoroughly, use a tongue scraper, rinse again, then proceed with my oral care regimen. I have a journal that I use to write down my dreams, my goals, notes, thoughts, inspirations, etc. I journal for twenty minutes in the morning while I am doing the oil pulling. This is a great time to express myself, gain clarity, or just be creative. There are no rules; I just free-write. This is often a time of the day when people will have more fluid experience with self reflection, expression, and creative thought. I like to take the morning to greet all my companion animals and give them fresh water and food, pet them, and spend time with them. I take care of the dogs, tend to the rabbits, hens, and birds, and even give thanks to the honeybees and the gardens. Now that it is getting warmer, I am looking forward to getting some new bird seed and filling up the bird feeders outside for the wild birds to enjoy. This is an item on the list that I have not partaken in this winter, but now that it is warming up, I am going to add it into my morning routine. I think a light jog and/or power walk in the morning will be quite liberating and refreshing. I have recently done research on grounding/earthing and the health benefits of directly connecting with the earth. If at all possible, and you can fit in walking outside barefoot and connecting with nature for even a couple of minutes a day, it will make a difference. 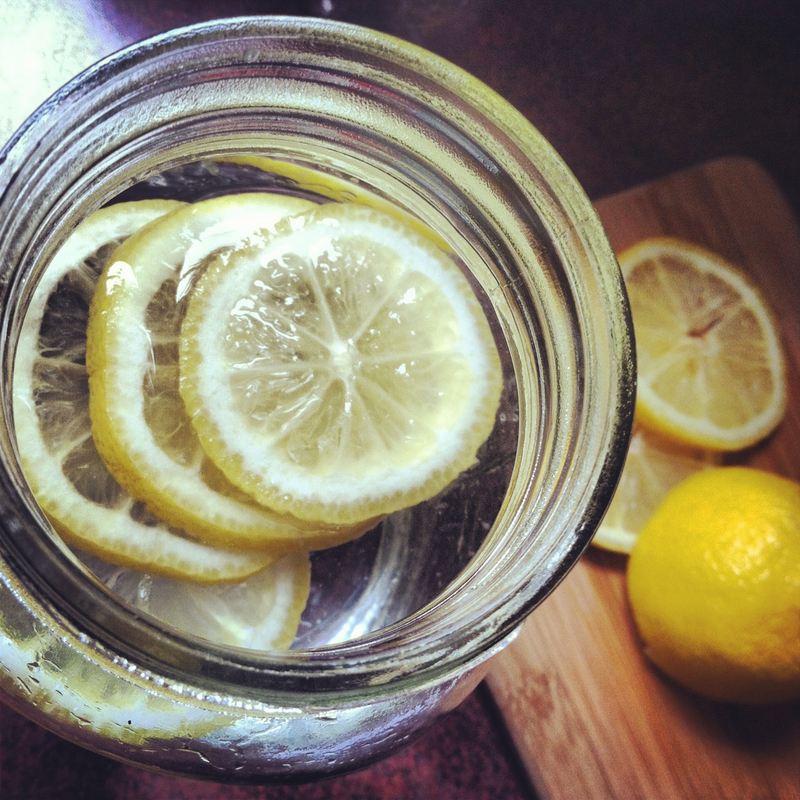 Lemon water is detoxifying and alkalizes the body; it helps the liver, kidneys, skin, digestive tract, you name it! I drink 20 oz of warm water with the juice of 1/2 of an organic lemon to start. I wait 30 minutes before eating breakfast to support optimal digestion. (more on lemon water in a future post). I also choose to take my vitamins at this time. I get most of my vitamins from food, but I do take a couple of supplements for extra support. I do not really have rules as far as when baths are “allowed.” In fact, I love baths so much that if I want to take a bath in the morning, I will, and I do not need anyone to give me permission or reserve baths for a “special occasion.” Life is a special occasion, so if I want to take a bath, I won’t deny myself that luxury. But showers are nice too. Nonetheless, I love using organic sugar and sea salt scrubs and natural soaps (we make them homemade!). 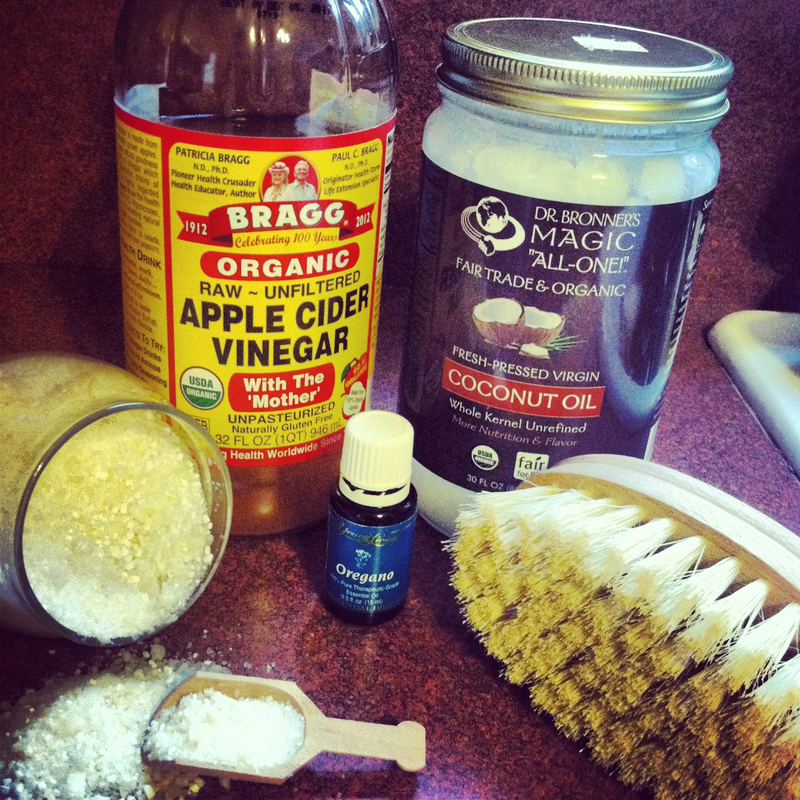 I also use apple cider vinegar and salt in my baths, which is wonderful for the skin and body. This can really apply to anyone, but I notice that many women especially partake in negative self talk constantly, especially when looking in the mirror. Some days I still struggle with this myself, but over time I have really healed this area of self acceptance. I try to remember to be thankful for my beautiful, healthy body, which is ultimately the home to my soul. This is why it is a top priority to honor my body and take care of it. Remember: Your body allows you to do amazing things day in and day out. It is incredible! You are incredible! As you can tell from my blog, I really love healthy food and nourishing, nutritiously dense breakfasts. I choose to start my day off with a delicious green smoothie, packed with vegetables and fruits. I have never been a fan of coffee, but if you are a coffee lover and you want to cut back, the lemon water and green smoothies in the morning can certainly help with that. It takes me about two hours to get through my entire morning routine. I leave for work by 7:15 am each morning, so this is what has worked for my schedule thus far. I would also encourage good preparation in general; I make sure I have ingredients for lemon water and smoothies, clothes ready, gas in the Jeep the day before, etc. This eliminates a great deal of unnecessary stress in the morning. Enjoy your mornings, enjoy your days, and enjoy your life. And remember: hating mornings is an option. I choose to love them.